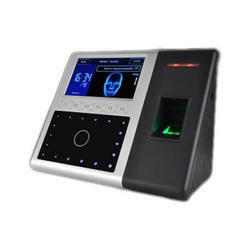 We are engaged in offering a huge array of Face Recognition Time Attendance System to our customers. We offer these at market leading rates. E - Vision India Pvt. Ltd. This is a newly developed binocular camera, it is having one 2-Megapixel WDR Color camera and one 2-Megapixel B/W Camera with USB 2.0 output. It is mainly used for the face recognition systems, for the identity verification and safety inspection in bank ATMs, Customs and airport etc. We are engaged in trading, distributing, exporting and supplying excellent quality Face Recognition System in New Delhi, Delhi, India. FaceStation perfectly combines beauty and performance. Faceid is industry first embedded facial recognition system with leading "dual sensor" facial recognition algorithm, far < 0.0001% which makes recognition more faster and accurate different source-light technology enable the system works well under different environment for access control and time attendance. 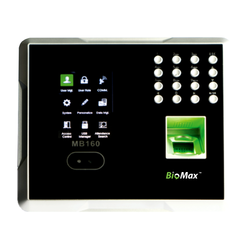 Finger print + smart card reader model- nac 2500m.